The post is going to assist business holders on how to achieve website security on their internet platforms. Whether it is a website of schools, colleges, healthcare industries, manufacturing companies, or of any other domain, these preventive ideas are applicable to secure website of all fields from hackers. Having a website in today’s date is common. Ranging from schools to universities, small to large industries, all are at least having their official website on the internet platform. Content management programs like Joomla, WordPress, Magento, Drupal, etc., help enterprise owners in achieving fast online presence. The extensible infrastructure, effective modules, and rich plugins of CMSs have reduced the overall requirement of spending years in learning website development. It is great that we are now having ease in launching an internet business or personal websites. But, there is also a simultaneous increase in challenges to secure websites from hackers. This means that these websites are also having their negative phase for the same set of business users. CloudCodes team observed that there are different webmasters who are unaware about website security. They are simply blank when someone asks them a question ‘what preventive measures they use to secure their websites from hackers?’ Isn’t this a point to worry about? Oh god! So much of confusion! Everyone is blaming one another instead of taking proper responsibility to secure website from hackers. No matter who has made the website, who has designed it, and who is taking care of it, the company holder should ensure that proper protective measures are taken on his or her website. Business authorities can assign this task to anyone of their working officials, and once in a month check the work of that individual. This will help them in ensuring whether updated security standard policies are enforced on their site or not. Well, in the next section we are going to illustrate tips to achieve website security. So let’s proceed! 1 Website – 1 Container: We know that hosting several websites on one server seems ideal when enterprises are having unlimited plan of web hosting. But, unluckily, it’s not at all a good practice! It is one of the riskiest protection measures, which can be seen common in most of the enterprises. Hosting several websites on one single location originates a wide area for attack surface. If in case a cyberthreat occurs on this surface, all associated websites will be hacked. The infected online site will reinfect another one, causing an endless loop. Therefore, enterprises are strongly recommended to hold one single site on one container only. Activate the DDoS Protection : Firewalls enforced on the network give a path to DDoS to attempt their attack on targeted PC. This is possible by making use of IP spoofing procedure in a smart manner. When it is about botnet, all the IP addresses are unique. This simply means that the network firewall is not capable enough to hold the traffic flowing and simultaneously check the threat. This is the reason due to which a DDoS protection is required. The DDoS protection software will restrict sudden spike in network traffic. Enterprises are recommend to use a DDoS security app that uses a hybrid of concentrated on-premises and cloud-based resources to fight against different sort of DDoS attacks. Register Your Domain Privately: At the time of domain registration with WHOIS, the business owner’s name, phone number, address, etc., information is collected and shown publicly. Sometimes less amount of information sharing can be there but, that is dependent on country where the business resides. We do have a private domain registration system also but, it is a paid service. Since it is paid service, it protects the website with strong inbuilt measures embedded in it. The domain registrar replaces the customer’s information with their ones, which means no one can see client’s data online. For example – If you perform your domain registration procedure with GoDaddy and select the option for private domain, GoDaddy’s mailing address, name, and contact details will be shown publicly, instead of yours. We have suggested top 3 strong measures to secure websites from hackers. These practices are possible only when enterprises utilize them it in an intelligent way. If want, businesses can make their website security operations easy by appointing CloudCodes solution. 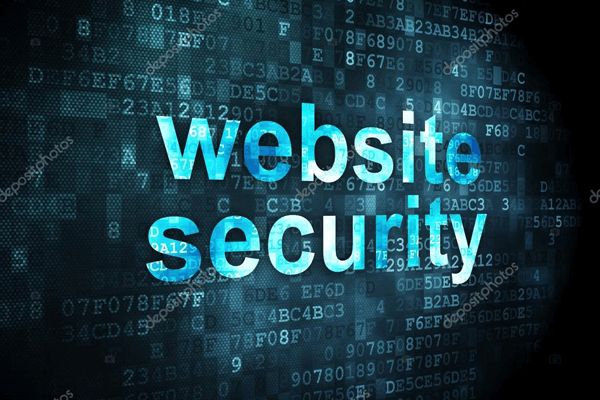 This service offers all preventive measures required to protect a website. It also updates the website securing policies with the occurrence of new technology for defending the trending cyberattacks.